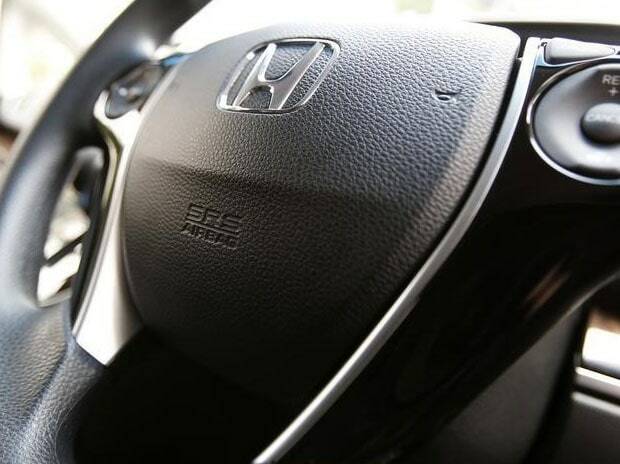 Japanese automobile major Honda Motor has submitted patent applications for its invention to improve vehicle efficiency and safety in handling of blind corners in automatic transmission mode. The company has filed two patent applications, one for a gear shift control device and another for a transmission control device for automatic transmission. Both the inventions serve a corner-determination function enabling the vehicle to be controlled better and stopped faster. The transmission control device helps detect a corner in front of the vehicle, based on its current position and road data, and determine whether or not it is a blind corner, in cases where it is not possible to see beyond the corner from the vehicle. The system calculates the distance from the blind corner to the vehicle and the required braking amount for reducing the current vehicle speed to a level at which it can stop in the area of blind corner with a full braking amount,m when a break is applied. In manual operation mode, the driver can downshift gear one by on using a shift lever, or a paddle switch disposed on a steering wheel. However, in the automatic transmission mode, downshift operation need to be performed several times to obtain an intended engine braking amount and this can be time consuming, especially from a high speed stage. The gear shift control device helps estimate the amount of roll when taking a corner on the basis of road data for deciding various gear shift levels. "The present invention thereby makes it possible to perform the appropriate down shift control that corresponds to cornering characteristics and the necessary minimum inter vehicle distance when passing through the corner," says the patent application by Honda Motor. According to reports, the improving technology is supporting the growth of automatic transmission passenger vehicles in the country. One out of every ten cars sold in India are expected to be automatic transmission vehicles, it says.